If anyone has a source for a proper review please feel free to contribute! All I can say is that it's rockin' good music and some beatuiful folk songs in here. I mean a musical duel between Leadbelly and Blind Lemon Jeffersson on a train? Does it get any funkier than that? It's a moody score provided by Karlin to set the background for Leadbetters descent into whiteman's hell. The movie doesn't cover his entire career so to aprecciate that I suggest You go elsewhere. 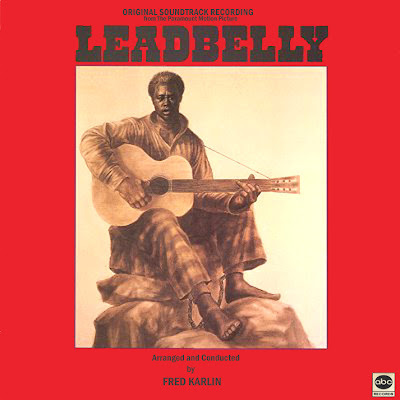 There are no original Leadbelly recordings in this OST. This is a high quality film, not standard low-budget blaxploitation fare. Gordon Parks directs (apparently trying something a bit different from his Shaft notoriety) and there are some stand-out performances in this rare gem of a film. Roger E. Mosley is quite believable as Huddie Leadbetter and comes across with great pathos. There is even an appearance of a very young Ernie Hudson (billed as Ernest Hudson)and this film holds the honor of being his first feature work. All this is notwithstanding of the music which rightfully drives the film. 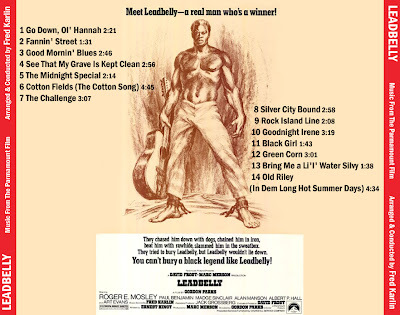 The soundtrack is powerful and the performers working to reproduce the works of Leadbelly do an outstanding job. Furthermore the scoring is spot on perfect and sets the mood of each scene wonderfully. The historical accuracy of the film is not too far off the mark. Certain scenes are invented out of fantasy (such as how he gets the nickname Leadbelly and obviously the scenes where he is talking with his father) but it hits the high points and low points of his life right on the money to deliver a very watchable film. This is a work anyone would enjoy, but fans of Leadbelly will love it all the more. We can only hope that someday Paramount decides to re-release the film in High-Def and give it a the treatment it so richly deserves. I saw this movie at the theater when it first came out. It was so good and the music so well done, I skipped work the next day and paid to see it again. I never do that, but that's how good the film was. Much to my surprise, Paramount pulled the movie from movie houses two weeks following it's release date. It was never shown again, not even of Television, and it isn't possible to rent it from blockbusters of Flix either. http://www.4shared.com, so that others can d/l and enjoy. There is currently a campaign to fund a new documentary on Lead Belly's life. 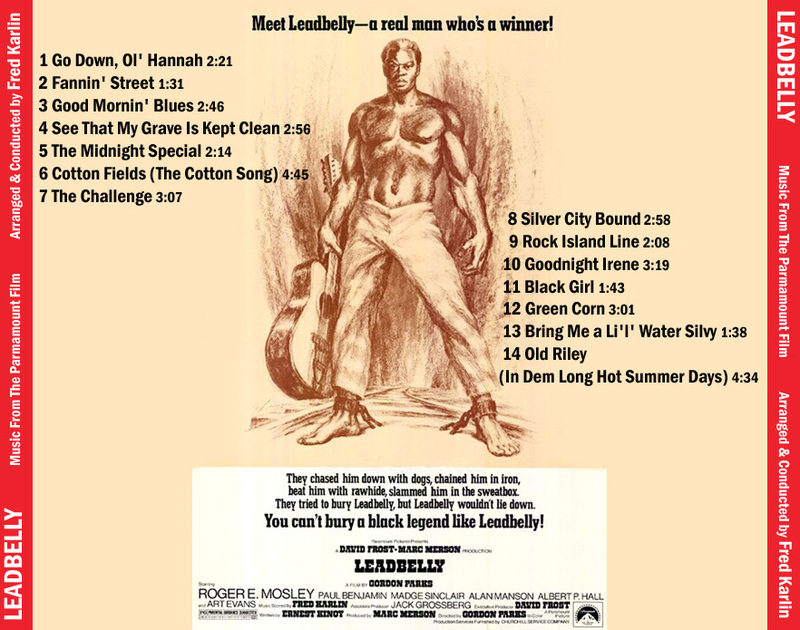 Go to www.indiegogo.com/leadbelly to show some support for a much needed film!